As the warm weather rolls in, the City is enthusiastic about some of the exciting events returning and making their first appearance in Downtown Salisbury. These events will bring new foot traffic and potential customers right to the steps of Downtown Salisbury and your business. For some, this will be the first time they’ve ventured Downtown in a while and we are excited to put our best foot forward as a community and show them what Downtown has to offer. Nonetheless, we want to adequately inform you about impending events and potential street closures that may impact you. 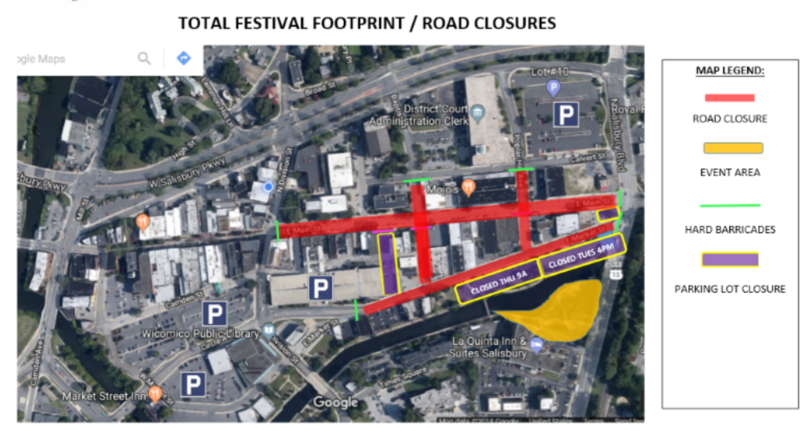 The Office of Business Development has worked to compile a list of the Downtown events occurring this Spring and will be adding street closure maps and information as it becomes available. We are still working to compile maps for the street closures of many of these events and will update this page as they become available. Please contact info@downtownsalisbury.org with any questions.